Heat wave worries? Never fear Deco-Pak is here to save your garden! This summer has undoubtedly been a scorcher and all the gardeners out there in the UK might be getting a little worried about their gardens. So here are a few tips to help out the garden stay in tip-top shape in this heat wave. In this hot weather, watering during the day can seriously hinder the amount of water that the plants actually get. A huge percentage will be get evaporated away by the glorious sunshine that we all love so much. Another reason to do it at these times is that water droplets can magnify the sunlight and cause scorching which is quite damaging. Okay. So you need a dog for this one…Haha. No, but seriously, laying down some Woodland Bark or mulch on your borders will really help with moisture retention in the soil. You may be noticing that due to lack of rain your precious lawns are going all brown and look like they are dying. Don’t be too worried as the grass is very drought tolerant and hardy so when the rains return (as they always do), your grass will also return to its natural and healthy state. This leads onto another point about the grass, try to resist mowing it as long grass is much more tolerant of the heat and will survive longer. Potted plants need constant and regular watering during drought conditions. As well as the plants taking up water, 25% of moisture is lost through surface evaporation. To combat this effect it is important to Mulch the top of your containers, this prevents moisture loss and also shades the roots. Perfect for this job is Pot Topping gravels, not only do they look good but also they are very effective in retaining moisture. Another great tip, if you are planting up new containers place a layer (5cm) of Lytag in the bottom of the pot before filling with compost. Lytag is an inert clay aggregate that has great water retaining properties. Did you know that you can water the plants with bath or shower water? As long as you aren’t using it to water anything that you will eat without cooking (e.g. Lettuce) then you are good to go. Saving water in a heat wave like this is critical. 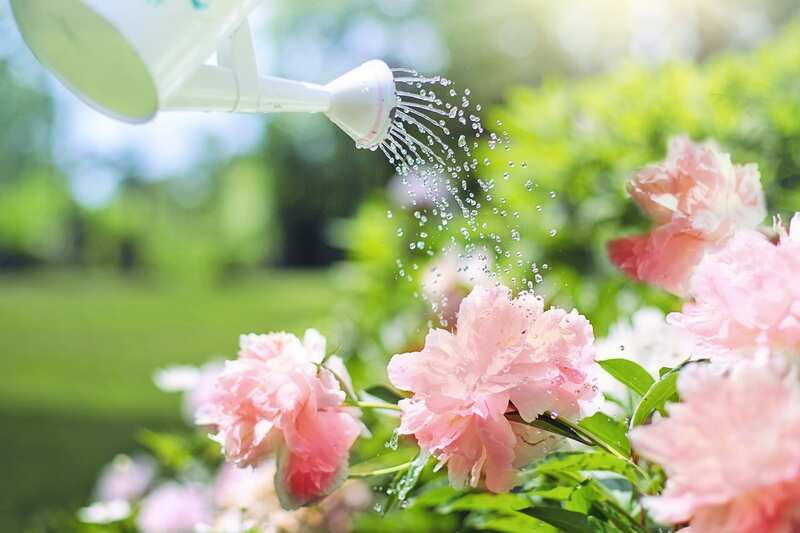 These have been some top tips from the horticulture team at Deco-Pak and we hope they have helped you manage a well-kept garden in this hot weather. For more information, chat to us on Twitter or ring us on 01422 204 394.